No one likes to pay more for auto insurance than they have to but you may be paying a higher premium than is necessary. Auto insurance premiums are rated by insurance companies based on several key criteria; the vehicle’s make and model, safety features, usage and driver information including tickets and accidents. These criteria are known by most people but there are other factors used in determining your auto insurance premium that you may be less familiar with. Below are 10 reasons you may not have known about that could be causing you to pay more for auto insurance. Take these into consideration and you may find ways to save even more on your auto insurance premium. To help you make a final determination on getting the best value for your insurance dollar; it can also help to use insurance comparison websites such as NetQuote, CoverHound, Insure.com, Insweb.com and many more. It may surprise you to know that renters pay more for auto insurance on average than home owners by as much as 6 percent accord to a Consumer Federation of America report. Different auto insurance companies have their own formulas for calculating rates and not all charge more for renters so it pays you to check this out before you buy auto insurance. You can ask outright if you are being charged a higher premium because you do not own a home. If the answer is yes, then you will likely be better off purchasing your car insurance through another company. If your car happens to be a model that does not perform well in crash safety studies; in other words, your make and model of vehicle suffers more damage in a crash than other car types; this can increase your insurance rate significantly. These vehicles are considered to be a safety risk to your insurance company. To avoid higher fees in insurance, check out which cars performed best in crash tests conducted by the National Highway Traffic Safety Administration (NHTSA) and the Insurance Institute for Highway Safety (IIHS). For people who have a long route to and from work, your commute could be costing you more in auto insurance rates. In the eyes of the insurance company, the longer you are on the road each day, the more likely you are to be involved in an accident. It doesn’t mean you aren’t a safe driver, but you never know about what you may encounter during your commute; hazardous weather conditions, road construction, traffic delays, reckless drivers, etc. If you can find a way to shorten your work commute or maybe even carpool a few days a week, you could end up saving on your auto insurance premium. Is your car one that a car thief would love to get his hands on? Luxury cars and sports models seem to be likely targets for a thief and the insurance company is going to factor this into the insurance rate. Sometimes, thieves may not even target the whole vehicle but just certain “car parts” that are in high demand. It is not always the most expensive or luxury cars that are stolen either. Check out the top 10 vehicles thieves target to know which cars are most at risk for being stolen. Some insurance companies do use your personal credit score in determining the cost of your auto insurance. If you have to give your social security number to obtain an auto insurance quote, you can expect that your credit is going to be checked and used as one of the determining factors for your insurance rate. While this may not seem fair, there is some logic to it whether you agree or not. Some studies, including ones by the Federal Trade Commission, have determined that people with lower credit scores are involved in more auto accidents and incur larger losses than their counterparts with a higher credit rating. The good news is there is a lot you can do to improve your credit rating over time such as paying your bills on time, paying off loans and keeping your credit card balances low. It makes sense that a vehicle that costs more to repair will also cost more to insure. Even though you may have a fuel efficient vehicle with all the safety features you could ask for, if your vehicle has expensive parts to service and replace, your insurance will likely go up if you add this type of vehicle to your policy. To get a better idea of what your car may cost to repair, you can check out this Consumer Reports review on the most and least expensive cars to own. High crime neighborhoods and larger cities have higher accident rates, car theft and incidents of car vandalism than do more rural areas. This is part of the criteria taken into consideration when rating your insurance premium. The greater the number of auto accidents and car thefts in an area, the greater the exposure is to the insurance company. Many times, the rate of insurance will be based on where the car is stored or parked. Keeping your vehicle in a locked garage at night could help in some cases. One thing young drivers in college may be able to do is to remain on their parents’ policy. Some companies will allow college students to do this until the student has graduated and moved to a permanent residence. 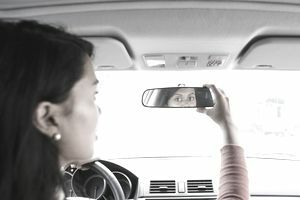 While it is indeed an exciting and sometimes scary time for parents when a teenager gets her license and begins to drive; it is also a time when your pocketbook can take a huge hit. Adding a teenager driver to your policy can make your insurance premium go up hundreds of dollars per month. Why is this? Insurance studies show that teenage drivers are involved in more accidents than older drivers and lack the skills and experience to drive safely. Try to offset the increased premium by looking for insurance companies that offer teenage driver discounts and offer credit for driver’s safety training. You could be losing out on discounts offered by auto insurers if you are not insuring multiple lines of coverage or “bundling” through the same company. This includes insuring multiple lines of coverage through the same insurance company such as homeowners, renters and auto insurance. Through GEICO’s customer loyalty discount, auto insurance customers can receive a discount of up to 25%. This may seem unfair but some auto insurance companies will charge you higher rates if you did not graduate from college. A report from the Florida Insurance Commissioner suggests that professionals with degrees are being offered preferred auto policy rates. This includes such occupations as physicians, architects, attorneys and several others. A Consumer Federation of America report backed up these conclusions showing the major auto insurers are charging higher rates to drivers who have less than a college degree and who hold blue collar jobs such as factory workers. In some instances, the study shows this increase in premium was as much as 45 percent. You won’t always know if an auto insurer is considering your education level as a factor in rating your auto insurance premium. However, a good indication of this is questions on the auto insurance application that ask how many years of secondary education you have and whether or not you have a college degree. 7 Kinds of Insurance: Do You Need All of These? How Can They Help You? What is the Comdex Ranking of Your Insurance Company?